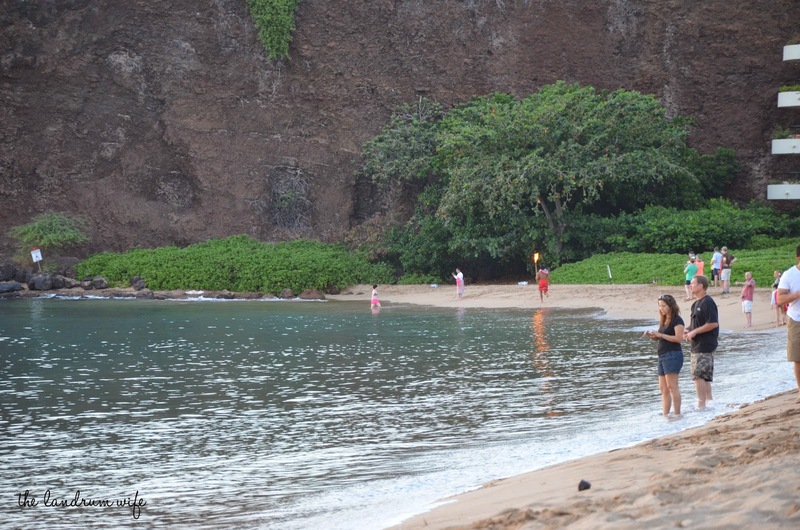 The ceremony happens daily at sunset and there is no cost to attend since it happens on a public beach. There are a handful of public parking stalls at the Sheraton Maui, but if they're all taken, there is pay parking at the hotels and Whaler's Village (I'm not sure of the current prices, but definitely don't forget to make a purchase at the Village of at least $15 to validate your parking). For more information on parking and alternatives to the (ridiculously priced) Whaler's Village, check out this TripAdvisor post here (keep in mind it was posted in 2009, so prices have most likely changed). There are no public restrooms along the beachwalk, but you can use any of the hotel facilities if needed. Once Mr. L and I figured out that we were going to be staying at the Westin Maui at Ka'anapali Beach (very nice hotel by the way with great kama'aina rates! 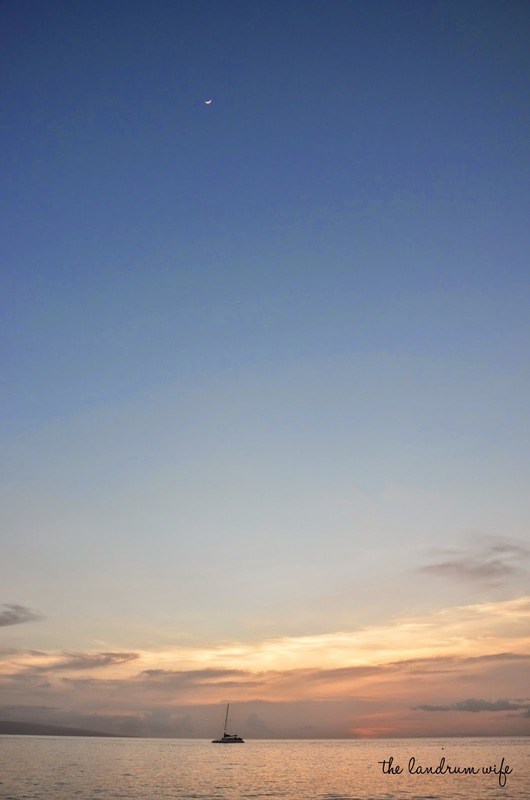 ), we knew that we wanted to catch the sunset at Black Rock one night. 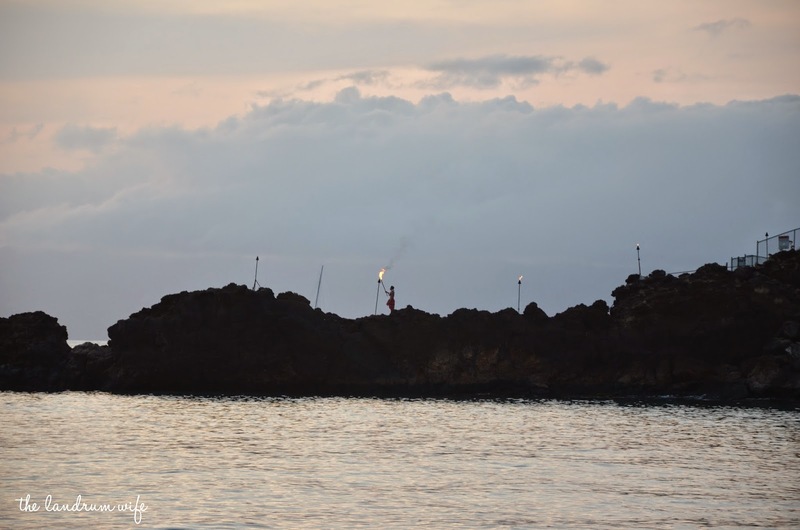 We'd heard that there is a torch lighting and cliff diving ceremony that happens every sunset at the Sheraton Maui which sounded pretty neat. 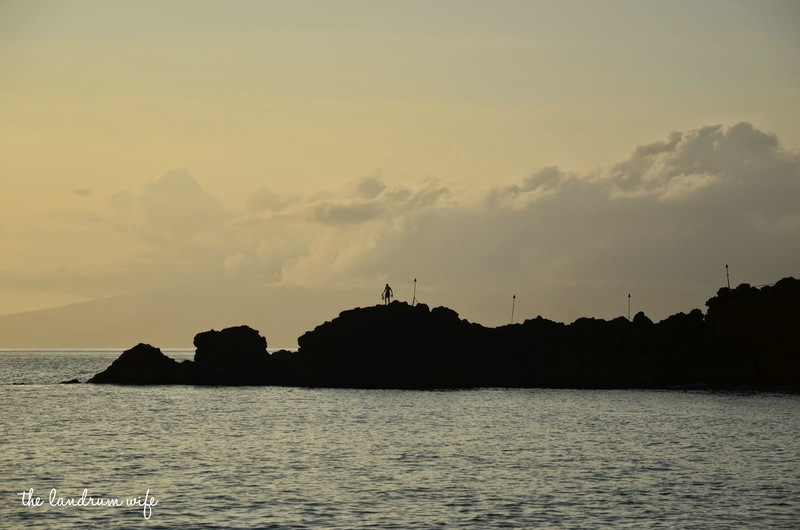 We weren't able to the first night we were in because we were entertaining my dad and brother during a layover caused by a delayed flight, but the next evening, after napping and recovering from seeing the Sunrise at Haleakala, we were more than ready to check it out. About an hour before sunset, Mr. L and I left the comfortable lounge chairs at the Westin Maui pool and got dressed and ready for the ceremony. 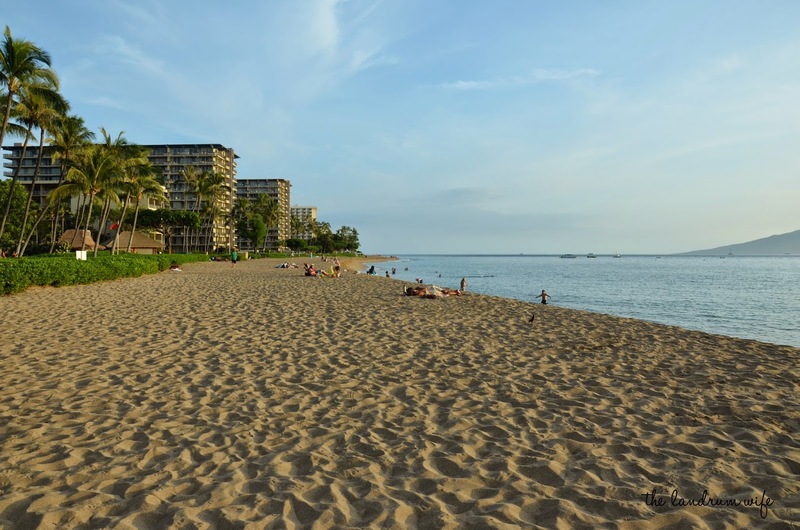 We strolled down the famous Ka'anapali Beachwalk until we made it to the part of the beach in front of the Sheraton Maui, about 10 minutes away from our hotel. Then we sat down, stretched out, and waited for the show to begin. 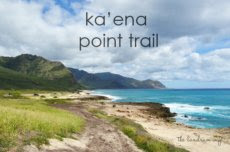 "As the sun begins its slow dive into the ocean, torch lighting signals the nightly ritual of Lele Kawa (cliff diving). 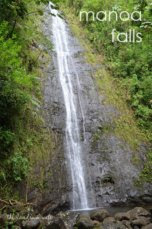 Legend tells us the last chief of Maui, Kahekili (Thunderer), proved his spiritual strength by leaping from sacred Pu’u Keka’a to the Pacific. 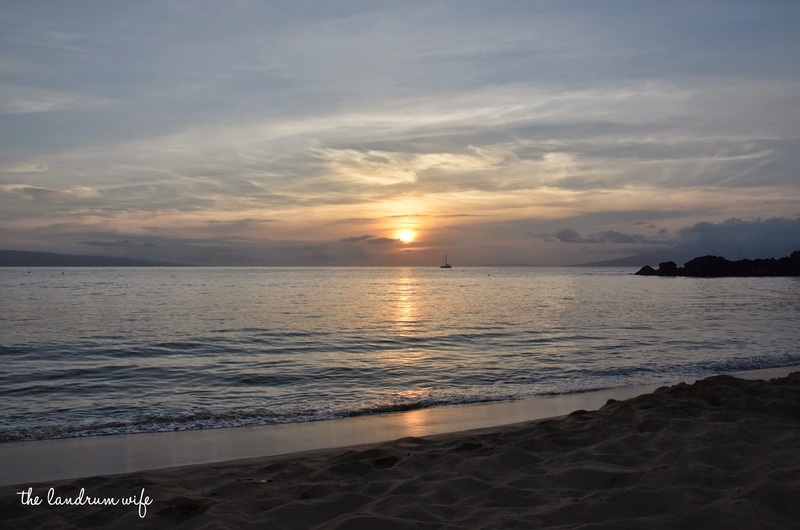 With sunset painting the sky, a young cliff diver honors his heritage each evening by re-tracing footsteps in the sand on Kaanapali Beach. A chant of old Hawai'i begins the progression of our warrior; the echo of the conch shell announces his arrival. He leaves a trail of glowing torches surrounding the lagoon as he makes his way to Black Rock. Upon reaching the summit, he offers his torch to the ocean below, casts his flower lei into the sea; and finally takes the breathtaking dive from Black Rock into the rolling surf below." Ka'anapali is a very, very beautiful beach -- probably one of the prettiest on Maui. 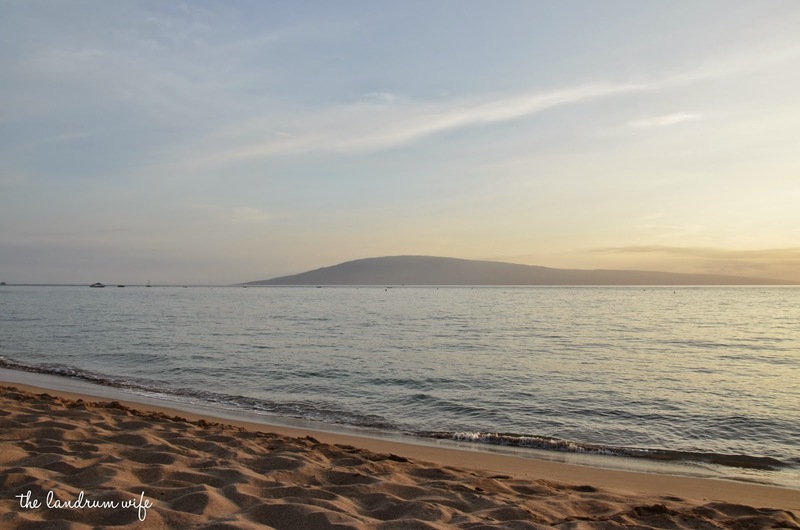 It was more than easy for Mr. L and I to sit back and relax while we enjoyed the gentle lapping of the waves and the gorgeous view of the islands of Lanai and Molokai out in the distance. We were even met with a surprise visitor while waiting. I'd noticed some people pointing at the water and I saw a man snorkeling in that general area. As I watched, I realized the man wasn't coming up for air. I nudged Mr. L and asked him what it was, and it turned out it was a monk seal! 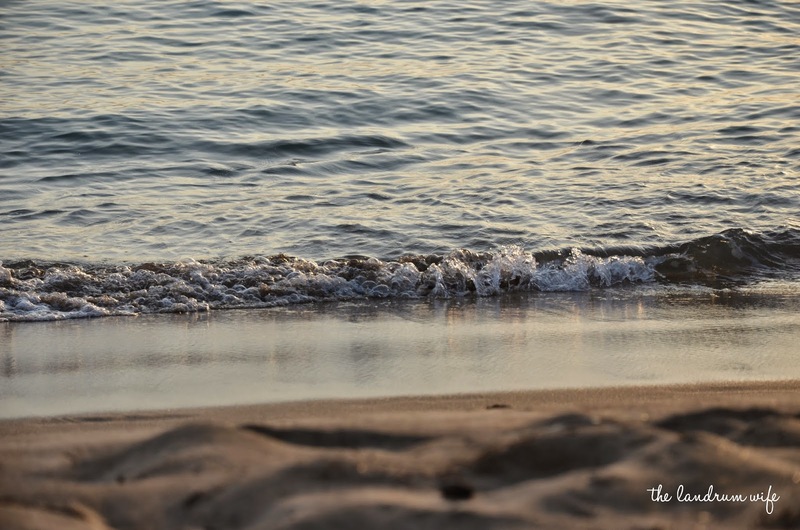 We hadn't even noticed it when we sat down, but we watched him swim away out to sea. 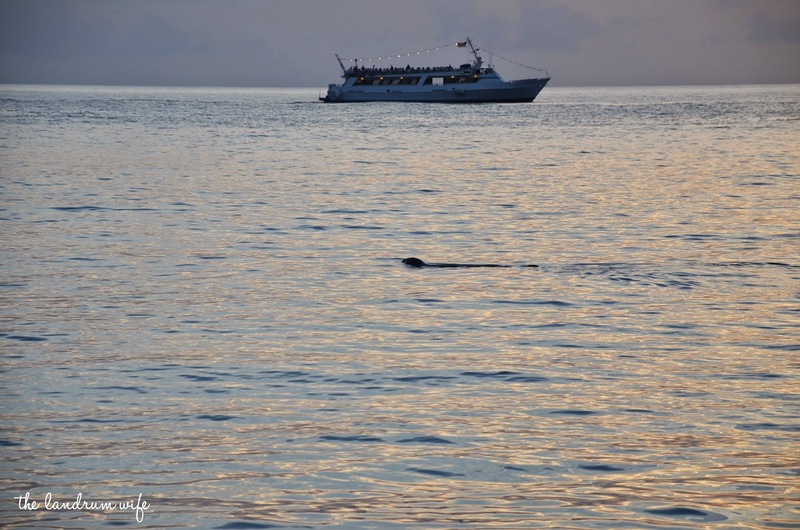 Shortly after the monk seal made his (or her) departure, the loudspeakers of the Sheraton came on and the ceremony officially started. The diver made his way down to the beach and onto the famous Black Rock with his torch lit brightly. 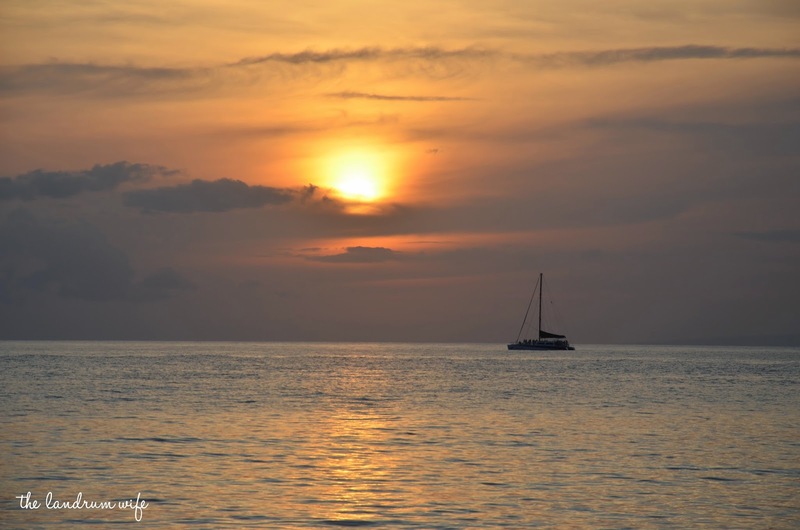 Sunset Ceremony at Black Rock from Mrs. Landrum on Vimeo. 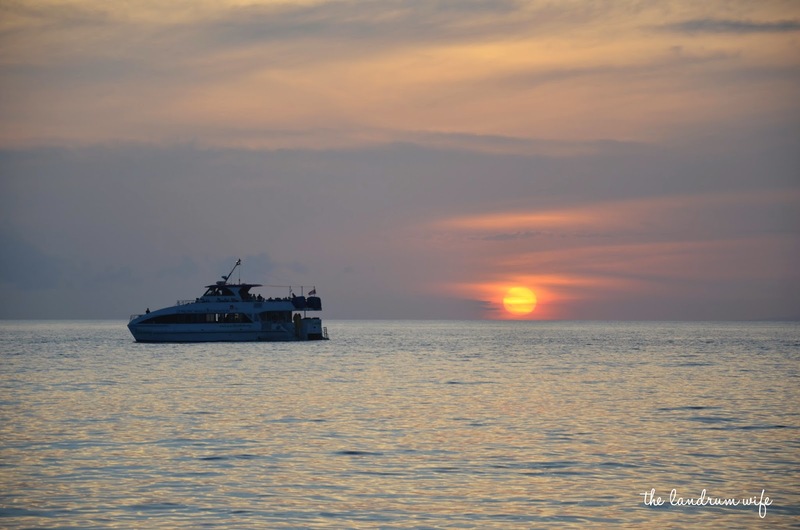 Mr. L and I continued to watch the sun sink into the ocean after the ceremony was finished and savored the beauty around us. Finally, we headed back down the beach and onto the path to find a nice restaurant for dinner. 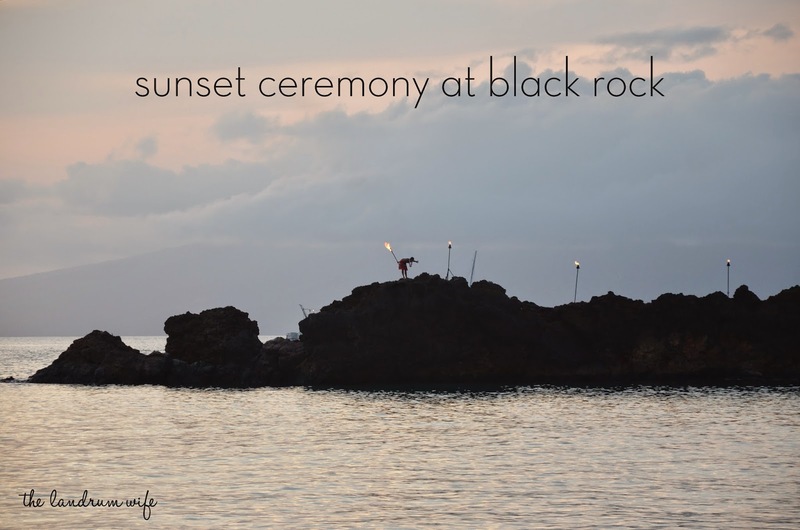 The sunset ceremony at Black Rock was short but sweet. 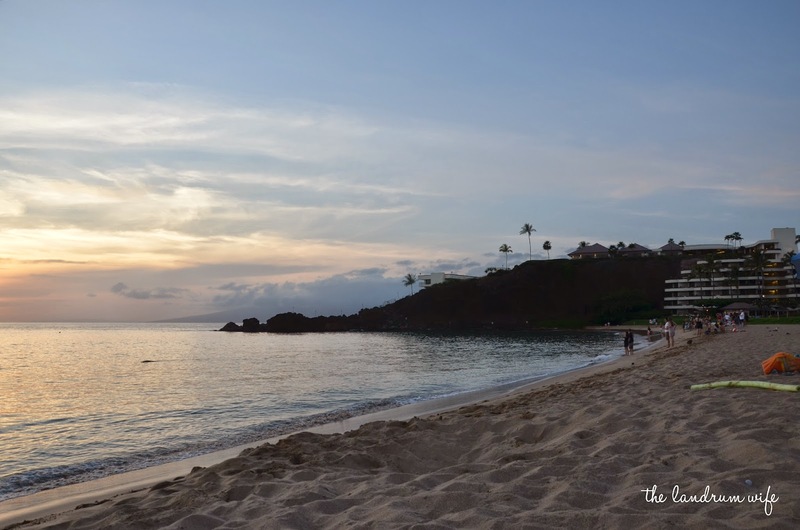 It was definitely a nice way for us to start off a relaxing and romantic evening on one of the prettiest beaches in Maui and I would love to go back and experience it again. 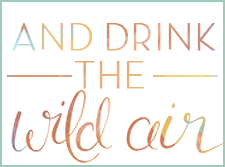 Where's your favorite place to watch the sunset?